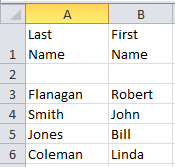 In the above, the entries in column B were merged and the duplicate rows deleted. Deletion of duplicate rows is an option. 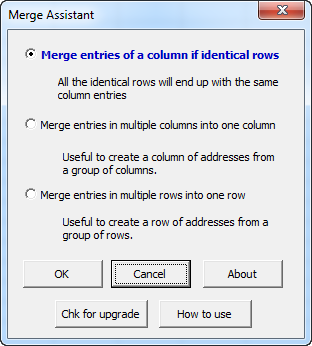 You can merge as many columns you want in any order you want. The text from the different cells can be separate with spaces, commas, or any of several other options. The Merge Assistant is entirely menu driven.